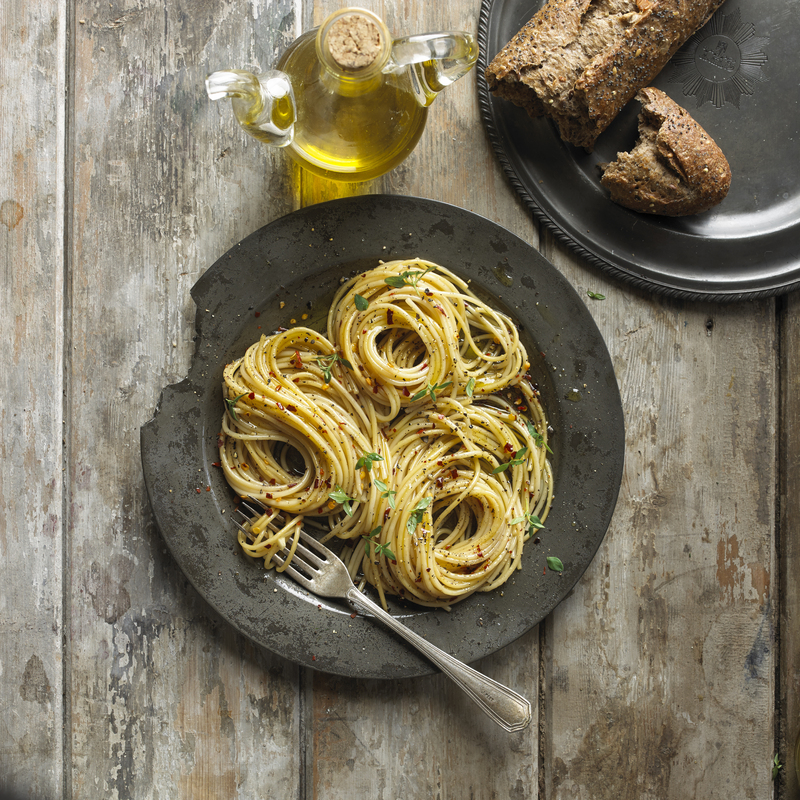 Spaghetti With Olive Oil, Garlic, and Chili Flakes | Flavor Your Life. Add the minced garlic, chili pepper flakes, olive oil, salt, and pepper. Mix together well. Serve warm with crusty bread. Sometimes the simplest foods are the best!